In an attempt to extract every nugget of solid gold from Daniel Pink’s talk, I spent the majority of his keynote speech switching between a laser-like stare of attentiveness and furiously fast live-tweeting from my iPhone. You’ll be glad I did! Here’s a round-up of my inspired Twitter activity this morning. The snippets below are chock full of expertly analyzed sales strategies from Daniel Pink. If you haven’t been introduced to Daniel Pink yet, you can best get to know him by reading one of his five books. Three of his publications have been long-time New York Times bestsellers, including Drive: The Surprising Truth About What Motivates Us . For entrepreneurs learning how to connect with their ideal clients, Daniel Pink’s insight is especially relevant. He dissects half a century of behavioral science to invalidate conventional wisdom about what motivates humans. What he uncovers may surprise you and potentially lead you down a more effective – and profitable – path to business success. For a sampling of the experience Daniel Pink brings to the table, read on for his bite-sized business knowledge. Which Daniel Pink quote was your favorite? 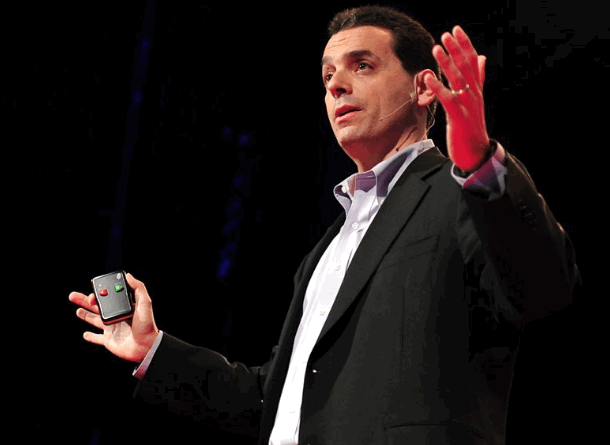 What can your business learn from Daniel Pink’s sales expertise? Comment below! Ha! Same here, Rita. My favorite bit was the story formula Daniel Pink shared.